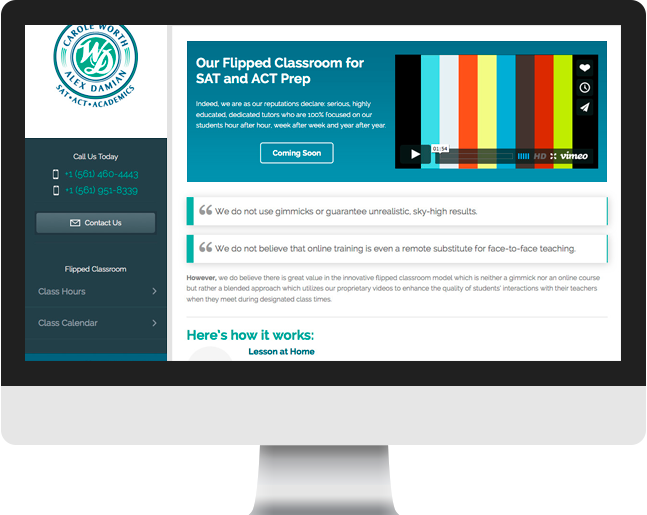 Worth and Damian is a boutique test preparation and academic tutoring organization comprised of a small number of highly qualified experienced, professional educators, inspired by and working with two very hands-on partners: Carole Worth and Alex Damian. 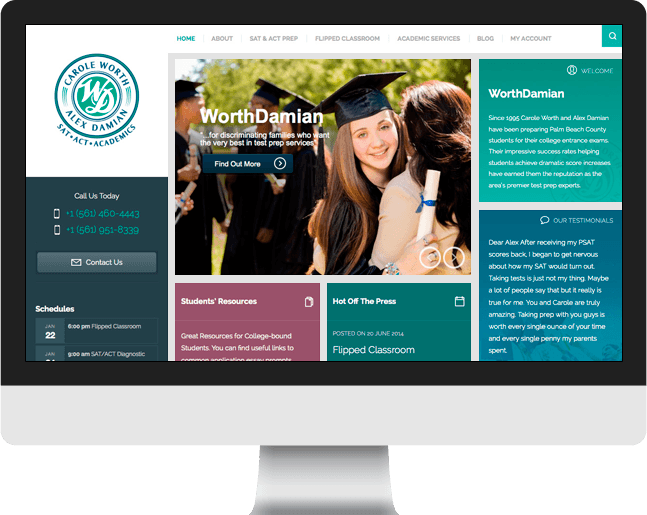 Worth and Damian contacted Cultura Interactive with a clear need to redesign their website. 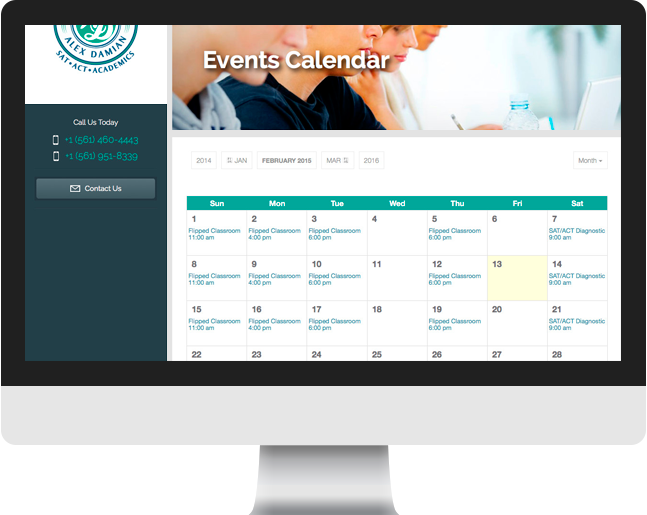 They needed a new website to promote their services, attract more customers and inform them about their new online learning system. 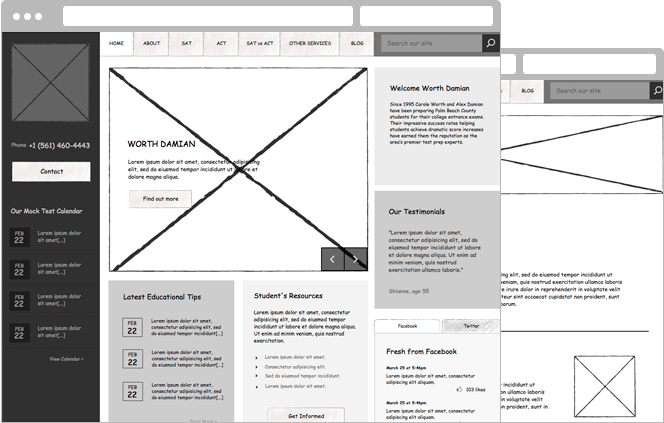 Following our methodology, we started the project making wireframes to discover and propose diverse options for the website’s homepage. Once all elements were in place and approved, our designer started to create beautiful mockups utilizing a warm and inviting color palette that would match with the company’s branding colors. With the increasing growth of advanced mobile devices, the need for mobile-ready websites is absolutely essential. 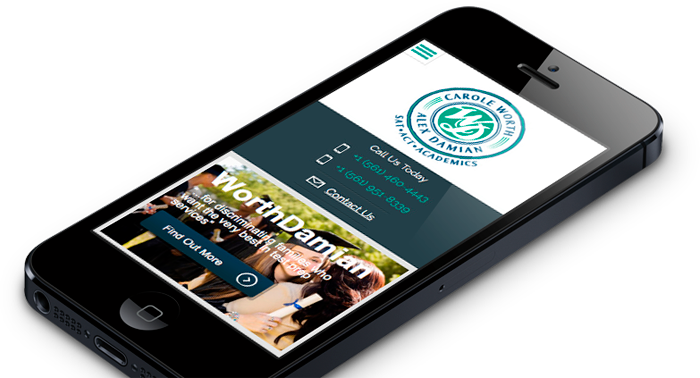 We created this WordPress website using responsive design methodology to allow it to be used on any mobile device including smartphones and tablets. 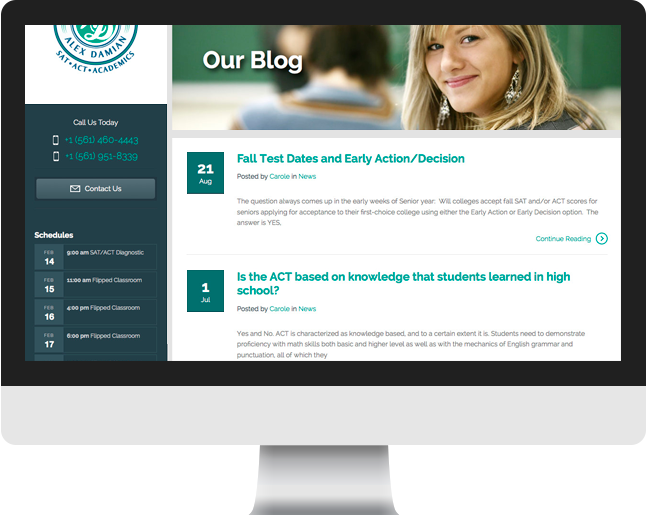 The website required a user-friendly interface for its administration, and our expertise in custom WordPress development helped us create new post types, widgets and customized plugins for better use of the system. Who said we only design websites? 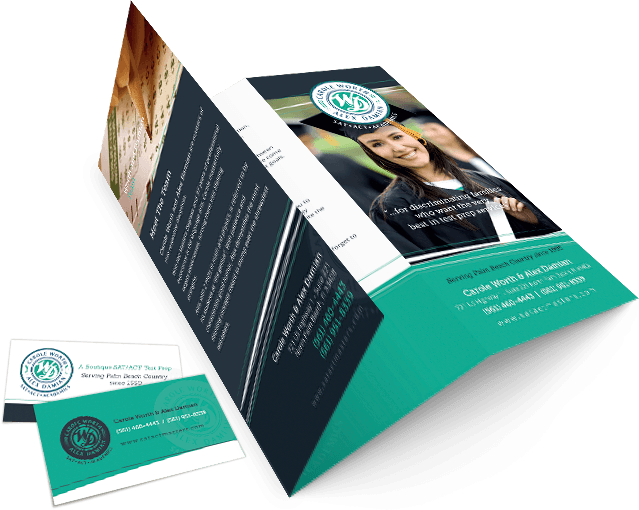 From brochures to business cards, our team designed an assortment of branded print collateral that carries the same elegance and quality established on the website. This way, clients have access to general information about the company and their services.